I’m told that Zawinul and the WDR Big Band will do it again in November in Germany. The performers take a bow. 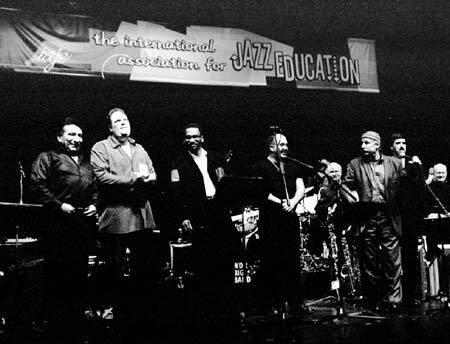 Left to right: Alex Acuna, Scott Kinsey, Victor Bailey, Peter Erskine, Joe Zawinul, Vince Mendoza. Photo: Cheryl Graul.